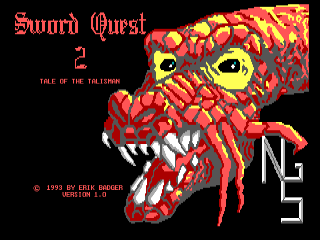 Sword Quest 2 is a fantasy role-playing game. 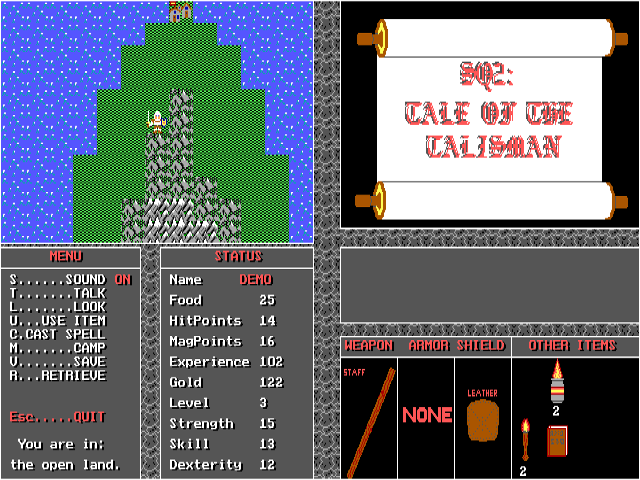 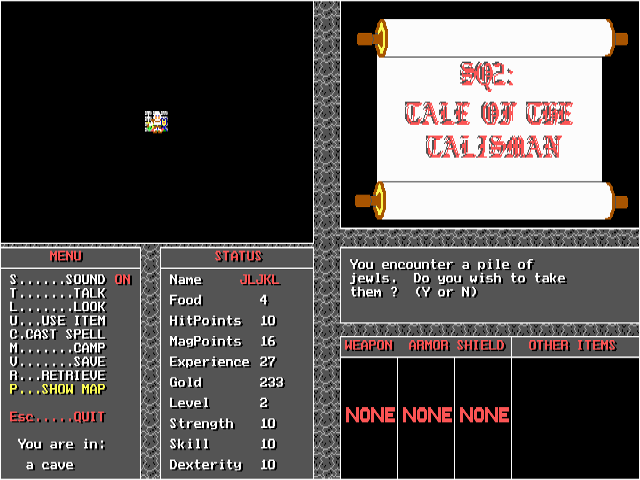 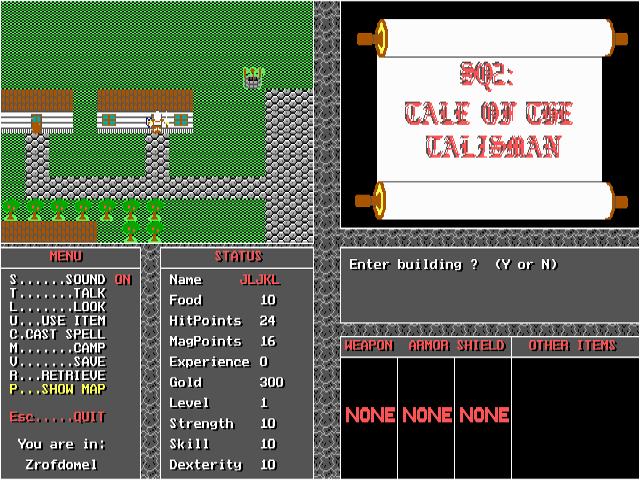 In the game a player controls the actions of a character charged with ridding a world of a plague of evil monsters. 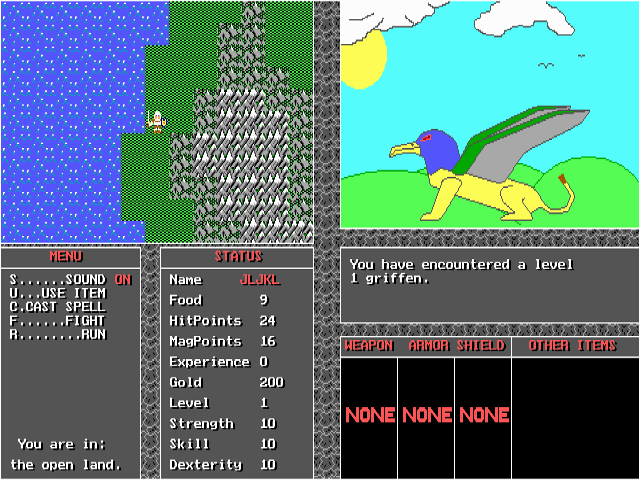 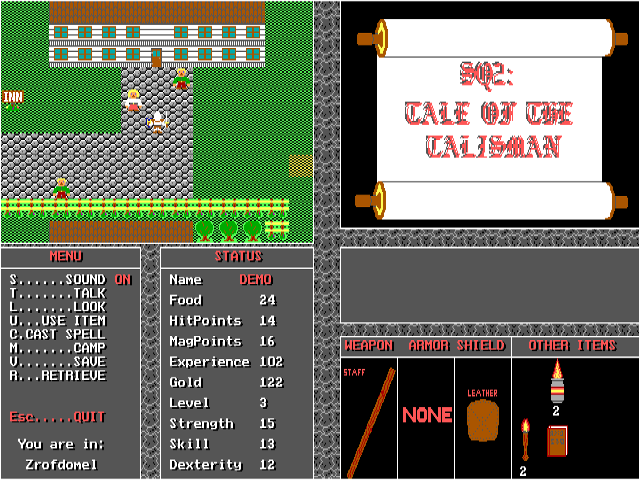 The character encounters many different monsters to fight, towns and caves to enter, people to talk to, and puzzles to solve. 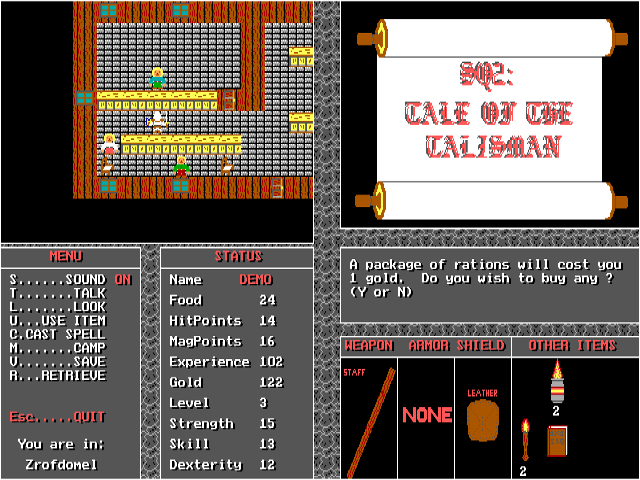 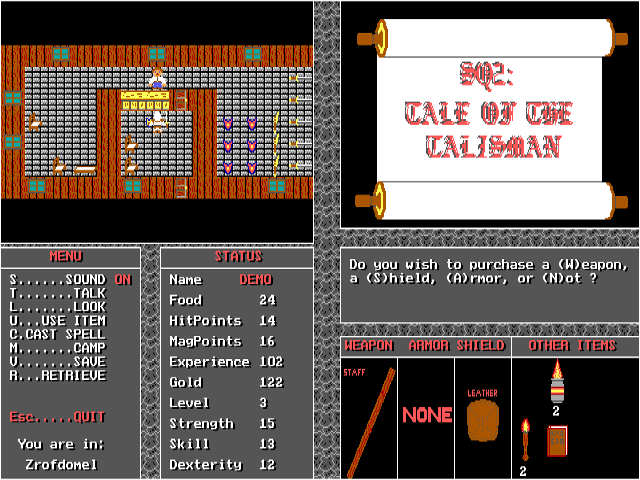 As the game continues the character will get hints from people in the towns,learn magical spells, and find hidden items, all of which help in the quest.